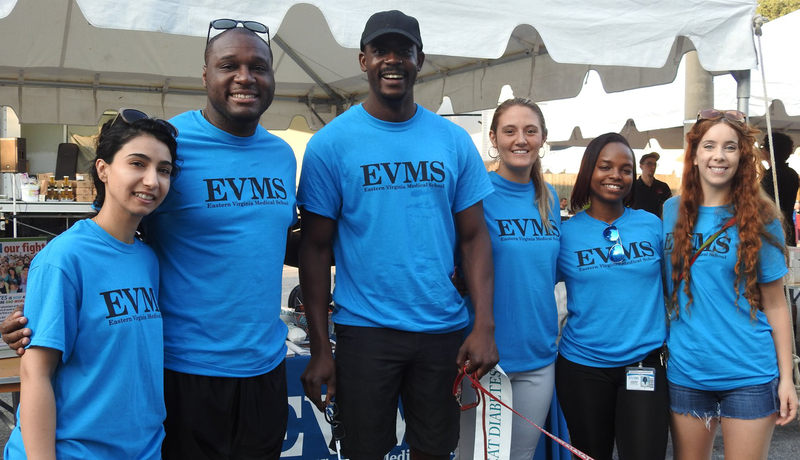 EVMS strives to achieve the highest standard in community engagement through collaborations and partnerships with diverse institutions, organizations and programs across Hampton Roads. Historically black colleges and universities as we work to expand the pipeline into medicine and health professions. Learn about the joint BS/MD programs at Hampton University and Norfolk State University. The Greater Norfolk Medical Society and Old Dominion Medical Society with a focus on enhanced mentoring for students and residents and exposure to healthcare practice in the region. ROTC programs and military support groups so that we can recruit active military and veterans into medicine and health professions programs and careers at EVMS. EVMS has attained a V3 (Virginia Values Veterans) Certificate for its commitment to recruit military into EVMS. The Medical and Health Specialties Program at Maury High School, established in 1986 by EVMS and Norfolk Public Schools. This program prepares high-school students for careers in the health professions through innovative biomedical curriculum and mentoring. The Urban League of Hampton Roads to engage community leaders around health equity. Community-based and faith-based organizations, such as the Hampton Roads Prostate Health Forum, to address health disparities. The M. Foscue Brock Institute for Community and Global Health at EVMS and EVMS Education or a focus on initiatives for service learning to enhance the education of EVMS students on social determinants of health and cultural competency.